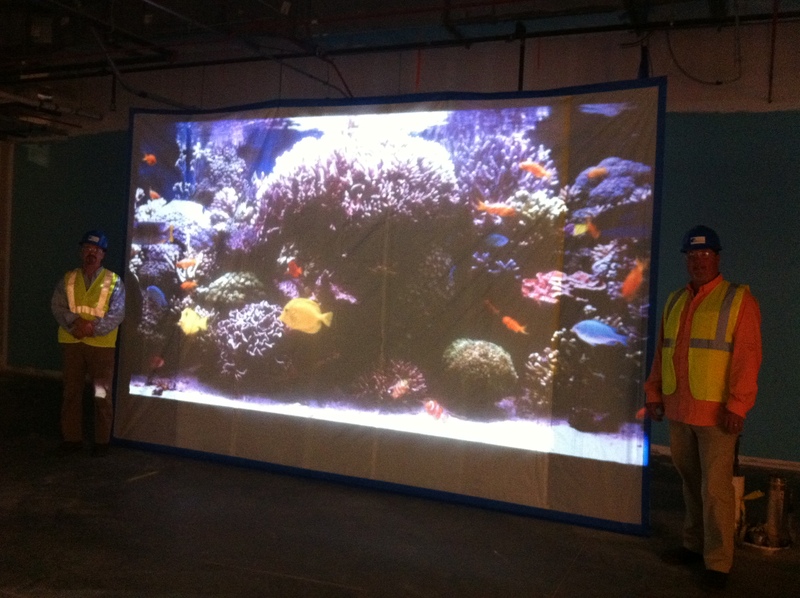 Bottled Ocean, an Orlando-based aquatic management solutions company, has been awarded a contract, by Skanska USA Building Inc., to design and install a custom 1,500-gallon fish tank in the new Nemours Children’s Hospital at Lake Nona, which is scheduled to open in the fall of 2012. The eye-catching tank will host a colorful variety of corals and marine life, and will weigh in at 14,000 pounds and stretch 16 feet long and 10 feet tall. At an impressive 30 inches wide, an adult could actually swim short laps across the tank! The tank is designed to hold between 40-60 large fish. The world-class custom aquarium tank will also feature energy efficient equipment. Both Nemours and Skanska have worked very closely with Bottled Ocean, Inc. to realize the project from concept to reality. Bottled Ocean is an innovative leader in full-service aquatic management with an unwavering commitment to environmental conservation. From custom residential and commercial tanks to large-scale waterway management, Bottled Ocean’s aquatic expertise is unmatched. Designing world-class tanks for celebrities and Fortune 500 companies, Bottled Ocean currently manages the world’s largest known Euryhaline exhibit at the Gaylord Palms Resort in Kissimmee, Fla. Opening in 2012, Nemours Children’s Hospital will bring best-in-class children’s health care, prevention and research to Central Florida. Designed with the help of patient-families and health care professionals, the 95-bed hospital will be part of a 60-acre, fully integrated health campus within Lake Nona’s 600-acre Medical City that includes the University of Central Florida College of Medicine, Sanford-Burnham Institute for Medical Research, Orlando Veterans Affairs Medical Center and the University of Florida’s Academic and Research Center. Additional information about Nemours can be found at www.nemours.org.